Wahl’s Stainless Steel Guide Combs glide through all animal coats with ease to give groomers the longer cutting lengths needed to keep pets looking their best. 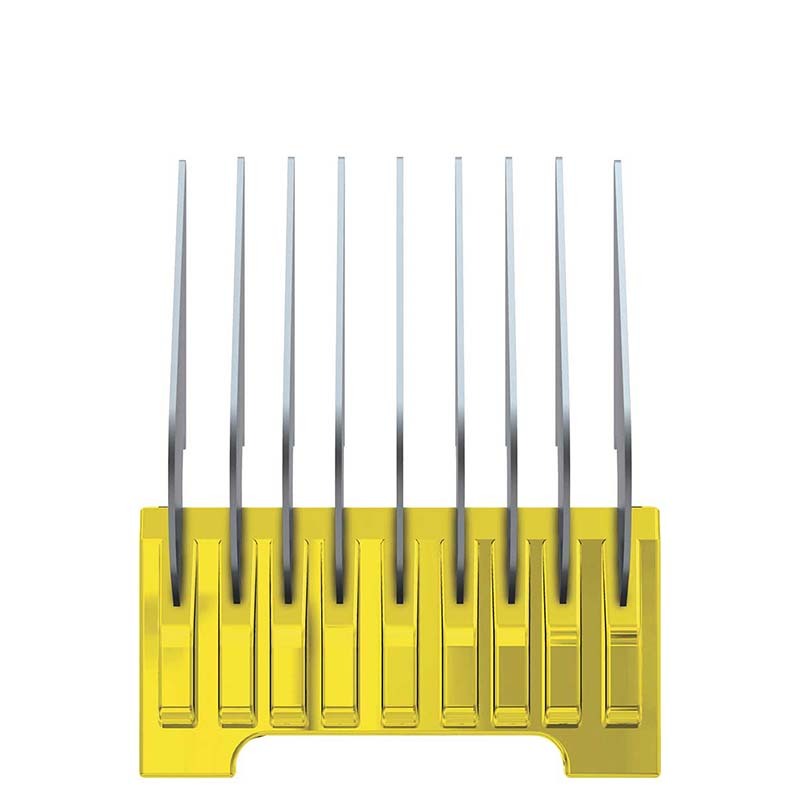 Each comb has smooth tips for snag-free grooming and are conveniently color-coded for easy reference. For use with the Wahl ‘5 in 1’ blade sets on the Wahl Arco, Bravura, Chromado, Figura, and Motion clippers.